Modern, lower-cost, automatic weather station makes like Davis make it easy to process their weather data automatically by computer for viewing on both local displays and on remote websites in a browser or smartphone app. How far you take this process is very much up to you. Some users are content with keeping a detailed archive of their weather data on a local PC** for future reference. Others may prefer to take full advantage of the power that modern software and web servers provide to create visually impressive, real-time presentations of their weather data on web pages that may be viewed from anywhere in the world. Tablets and smartphones can of course view data posted to web pages or in a format for their own apps, but typically do not process data directly from the weather station. ** ‘PC’ is just shorthand here for any type of compatible personal computer, including Macs, Linux machines etc, though there’s greater choice of software with a Windows PC. If you wish to use any of these PC or webpage-related features then you will typically need to add a data logger to the weather station itself. In the Davis architecture, for example, a Weatherlink data logger (or a compatible third-party logger) is essential to connect the weather station to a computer or network – you cannot connect the console unit direct to a PC. (Discounted bundles of station plus logger are often available throughout the Davis range.) Note that the Davis logger is a true data logger and can store data for extended periods, for example while you’re away on holiday, for later download to a PC. And, even if you’re not a PC expert, it can be relatively simple to make your weather readings available to the world on a web page. The adjacent image should be showing live weather readings (check the time and date!) from our workshop location and is easily achieved by connecting a special Davis WeatherlinkIP data logger directly to your home network (no PC needed) and simply including the resulting image in your web page. This image is an example of a presentation from the Davis Weatherlink Network 2.0. The same presentation can also be generated by using a free upload from as copy of the Davis Weatherlink v6 software running on a local Windows PC, or from a Vantage Connect or Enviromonitor units, as used for weather monitoring at a remote, unattended location. This page provides a general introduction to the process and benefits of using data loggers with weather stations. There is also an introductory page specific to the standard Davis Weatherlink logger, which you may wish to read in addition. Note: Let’s be clear, you don’t have to connect a weather station to a PC – the built-in console display does provide a good snapshot of what the weather is doing right now, so if you’re allergic to PCs then you can still enjoy a lot of interest and value from a standalone weather station. But adding a data logger and PC or ~Internet connection to the system does add hugely to the station’s capabilities and so most customers nowadays do specify the logger option. This overall topic of data logging and software for our automatic weather stations is a large one with many options and alternatives. For readers interested in a full discussion, various topics are covered in different places on this website – see the box to the right for a guide on where to find the relevant pages. However, don’t get overwhelmed if you’re a new user! The basics are straightforward and not at all difficult to set up, especially with the simpler logger/uploaders to online platforms such as the WeatherlinkIP or WiFi loggers. It’s easy enough to choose to start off with one of the simpler units such as the WiFi Logger uploading to a platform like the UK Met Office’s WOW system or Weathercloud and then to move to a more customised set-up at a later date as your knowledge and experience grows. The Davis weather stations range offers comprehensive data logging and interface features and there is a wide choice of compatible software to store, analyse and present your weather data, both locally and on web pages. This present page, together with a couple of further pages linked to below, should provide all the introduction that new users will need. This section first summarises what’s possible with a modern data logger, followed by a brief description of the logger hardware and features and, in the final section below, a short introduction to weather station software. There is also an examples page that shows a number of illustrations of the diverse data presentations that can easily be created on local PC displays and on websites; and the WeatherlinkIP page has more detail on this special advanced data logger option. It’s perhaps worth adding that not all applications need sophisticated logging solutions as provided by the Davis and Instromet loggers – sometimes the requirement is just for the simplest, lowest-cost way of automatically logging a long-term record of basic weather readings such as wind conditions at an unattended site. Although most of the descriptions below exemplify reasonably high-tech logging and data handling solutions, we do also have loggers for the simpler applications such as the LeWL logger. Data loggers come in different shapes and sizes according to their maker and role. 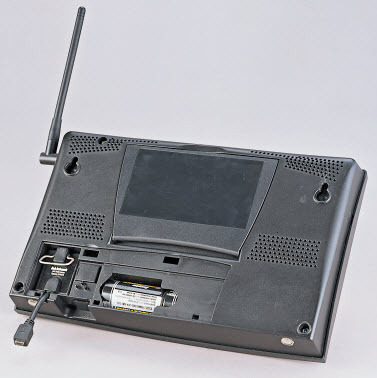 For the Davis stations, for example, the logger is typically a relatively small module that fits into a recess on the lower rear of the display console unit. (See close-up logger image left and installed into a VP2 console right.) Once installed, the logger effectively becomes part of the console. Some other standalone loggers such as the LeWL wind logger look quite different (see LeWL page). Archive data logging (also termed true data logging): In this role the logger receives data either direct from the weather sensors or – more commonly – after initial processing of the raw weather data by the display console and then automatically stores summary values for the various weather sensor readings at preset intervals, for example every minute or 10 minutes or every hour. In this way, the data logger can accumulate a complete and detailed history of weather conditions over a period – potentially up to a week or a month or even more, depending on the type and capacity of the logger. This archive of summarised data remains stored in the data logger until it is connected to a computer and a program requests a download of the archive (which may be just a partial download, ie of any new data that has not previously been downloaded). Real-time data feeds: The logger provides an interface to a PC which allows real-time data (ie readings refreshed every few seconds) to be accessed by programs running on the linked PC. It’s this type of data feed that will be used to provide real-time weather displays on PC monitors, websites etc. Typically, this real-time data is transient and not stored at all by the logger – ie if a linked PC is not listening in when the latest data refresh is available then that data record will be lost. All Davis loggers are clever enough to be able to perform both of these roles simultaneously, if required to do so. But some of the simpler loggers, such as the LeWL logger, are only usually required to carry out the archive data role. There can be a further twist to these archive/real-time roles. Some logging systems using third-party software programs are set up with a PC constantly switched on and listening to the real-time data. In these systems, it’s the PC program and not the logger that processes the real-time data stream and summarises it to generate the archive data. Not surprisingly, the format in which the archive data is stored on the PC’s hard drive will depend on the processing program being used. Davis is somewhat unusual as a manufacturer of weather stations by providing a complete range of loggers with different features, all Davis loggers bearing the family name Weatherlink . Because the Davis logger is a separate part from the weather station console, this allows users to specify the station and logger types independently and thereby to tailor a PC-linked weather station system to meet their exact requirements. 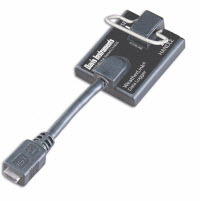 The cheapest and most popular Weatherlink logger nowadays is the part with a USB interface (6510USB) to connect to a PC or laptop. A similar logger is also available with a serial/RS232 interface (6510SER), which some customers still prefer in certain circumstances. These two loggers are described on our main Weatherlink page. The Vantage Connect unit is the ultimate in integration for remote weather monitoring. This unit combines the functionality of the WeatherlinkIP logger with a mobile phone modem and solar panel power supply. The resulting system can be placed in an open field literally anywhere that has mobile reception and will report back live data automatically to the central server at www.weatherlink.com from where the data may be viewed in a standard web browser worldwide. Also, for anyone to whom this might be of interest, we are able to source a Modbus interface to the standard Davis 6510SER serial logger – please see the page on Modbus Accessories for further details. These two approaches are not mutually exclusive. So, many users will run a local computer as their primary means of data handling, but local software will also be able to upload data either to the user’s own website or to one of the online weather platforms such as weatherlink.com platform or Weather Underground. And, conversely, some types of logger, especially the Nano SD unit, have sufficient software functionality built-in to perform many of the common local data-handling tasks, as well as being able to upload to online servers and platforms. There is no shortage of choice when it comes to choosing logger type and software, but it’s helpful to consider whether viewing data locally is your main requirement or if seeing data online is the priority or, as a further option, if you would prefer to have both online and local data views available. This section introduces software for weather stations that runs on a PC or similar local computer. It assumes that the data logger will, typically, be cabled to a PC (or in the case the case of a logger with an Ethernet interface such as the WeatherlinkIP logger, cabled to a network access point with communications to the PC possible via the network). Software running on the PC can then control a whole range of possible presentations of weather data, the three most common applications being a real-time graphical display of current weather conditions; a summary of the data over a period of time (eg a calendar month) in text or chart form; and managing an automatically-updating weather website on a remote web server. The data feeds from a logger are often in a specialised data format and so it’s important that the software can decode the data as required – so compatibility with each particular type of logger is required. Typically, the data loggers cannot (but with certain exceptions) output in either plain text format or in complete web pages – a computer is generally needed to create the final display at some point between the logger and the display. So many Davis VP-family stations have been sold worldwide since 2001 that an active market has developed in third-party programs that are compatible with the Davis loggers, with the result that there’s a wide choice of programs, including Weatherlink itself of course. We’re often asked about which program is the best to use, but this isn’t an easy question to answer – each of the alternative programs to Weatherlink has its own features and pros and cons (summarised on our compatible software page and illustrated on the examples page) – and so it really depends on your own requirements and priorities. We generally recommend looking at the Weatherlink program itself to start with – you get a copy free with every Davis logger and it’s perhaps the most professionally produced and most widely used of all the programs. But it’s not as fully-featured as say Weather Display or Cumulus, nor is its real-time display as attractive as Weather Display Live or the SteelSeries gauges. Cumulus is attracting a lot of new users because of its balance of features, ease-of-use and clarity, plus it’s free to download. Most Davis station owners run Windows on their PCs and so inevitably the great bulk of the Weatherlink and third-party program development has focused on Windows software versions. However, both the Weatherlink program and certain other programs are available in a Mac version and Linux versions of a few third-party programs are also starting to appear. If at all possible, we recommend using Windows software – simply because the vastly larger user-base of Windows versions means that these programs offer more features and flexibility. Read more about Windows vs Mac weather station software. Continue to the examples page for software displays.